If you want to start eating vegan and want to stick with it, this program is for you! Video tutorials, meal plans and guides to help you start eating vegan. Before ten years ago, I used to eat everything under the sun (I was NOT looking for information on how to start eating vegan!). Cheeseburgers, steaks, milkshakes – you name it. I didn’t pay attention to what food I put into my body. I didn’t consider where it came from, whether it was actually making me feel good or what impact it was having on the world. And, I was technically pulling it off. Meaning, I wasn’t overweight and I didn’t have loads of health issues. Back then, vegetarianism and veganism vaguely seemed like the better diet to eat – healthier, more socially responsible, etc. But when it came to vegetarianism and veganism, all I knew was that you couldn’t eat everything you wanted to eat. That didn’t sound great to me. And it seemed like everything those people ate wasn’t very tasty. I thought that I would never eat that way. Plus, what would my friends and family think?! Everything changed one day when two of my closest friends told me they were going to eat vegan. Two of the people I liked the most in the world were going to eat vegan. These friends were doing it for health. They shared with me what they learned about the positive health benefits of a vegan diet, including preventing heart disease, diabetes and even cancer. While they were focused on health, I had been learning more and more about the environmental issues facing our world. I knew that eating a plant-based diet was also kinder on the environment. So, I thought – sure, I could eat like a human garbage disposal, per the usual, but with dear friends eating vegan, I wouldn’t be alone. I wouldn’t be a weirdo and I would have someone to ask about this thing called nutritional yeast. Plus, I would finally be living my environmental values more fully. Still, I had to teach myself about many of the new foods that were now central to my diet. I had to figure out how to deal with the questions from other friends and family, how to eat at their homes and at how to eat at restaurants. When I was struggling, I simply stopped eating vegan or had a lapse because I didn’t know how to do anything else. Even though I had a couple of vegan friends, that was all I had. I could have used some support. It got exhausting figuring out how to find vegan food. I couldn’t always come up with a simple dinner after a long day of work. I just wanted to eat as easily as everyone else who had access to all of the food in the world. I wasn’t armed with all of the pro vegan tools I have now. I was just a baby vegan and, sometimes, I truly struggled. If I only knew then that eating vegan could be so simple. If someone would have spelled out everything from how to stock my kitchen to how to eat at a restaurant – I would have had an easier time. People love my cooking and baking – vegans and non-vegans, alike! All of my friends say I’m the least annoying vegan they know. They don’t roll their eyes at me. I know how to eat vegan in this world without it interrupting my life or theirs. Vegans can get a bad rap. People say we’re preachy or a pain in the you-know-what. There are DEFINITELY those vegans. The good news is, I’ve never been interested in being one of those vegans and I know how to avoid common vegan pitfalls. There aren’t enough examples of how great it is eating vegan. People don’t know that you can eat vegan and still participate in traditions with loved ones. People don’t know that veganism isn’t all tofu and wagging your finger at meat eaters. Get yourself some vegan pro tools as a newbie and you’ll be all set! Starting to eat vegan is not simply looking up vegan recipes. You need so much more than that. You are starting a diet that is not the mainstream but there are ways to deal with that. From the judgment of others to learning about all of the new ingredients you might use in those vegan recipes – you need support. 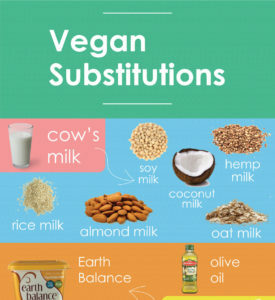 Plus, you might waver as you start eating vegan. What does it mean if you eat vegan for a month and then eat a cheeseburger? Is that the end of the road? You will have no problem eating vegan. You will finally eat and feel the way you’ve been wanting to. It’s completely understandable that taking on a vegan diet can be intimidating. But now that you have the option to have help, you can stop putting off your own health and happiness. The best part is that eating vegan doesn’t have to be the struggle you might have thought it was. I’ll show you how to keep it simple. You’ll get online access to a membership area of Plenty Vegan with course videos, resource pages and downloads. You’ll also get access to the community of others in the Plenty Vegan Plan for tips and encouragement. This program is to help you eat more or all vegan. If you find it’s not working for you, you can get a full refund within the first 15 days of the program. You’ll have access forever. You can do this at your own pace. Watch the videos again from the beginning, restart your week of easy meals, reach out for help – you’ve got all the time in the world! You can find vegan recipes online for free. You can checkout books from the library. These are great whether or not you use the Plenty Vegan Plan. What these things won’t do is paint the whole picture for you about what it means to be vegan and how to deal with it. From how to make simple meals to how to deal with an annoying family member to how to deal when you want to eat a grilled cheese, the Plenty Vegan Plan addresses all of these concerns and you will definitely encounter these along your vegan journey. The world is not vegan but you can live in it with the tactics in the plan. We’re all about pacing yourself here at Plenty Vegan, but at some point you also just have to get started! If you’re still reading this, you are interested in eating vegan. Why put it off any longer? Start with some tools to get you on your way. You are interested in eating more or all vegan. You know the benefits to health, the environment, the animals. But this world is not vegan and you’re going to need some tactics in your kit to actually pull it off. You are going to need to know how to learn some simple meals, what is vegan and what isn’t, how to eat out, how to travel and, maybe the most challenging, how to deal with a non-vegan world including the judgment from others.